We’re only just getting to the end of Summer and my hay fever is already starting to act up… it hasn’t even got that cold yet! 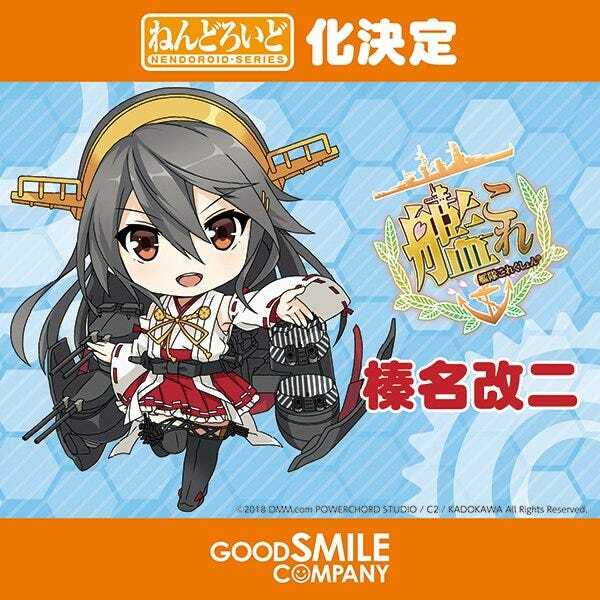 From the popular browser game “Kantai Collection -KanColle-” comes a Nendoroid of the fifth Fubuki-class destroyer, Murakumo! 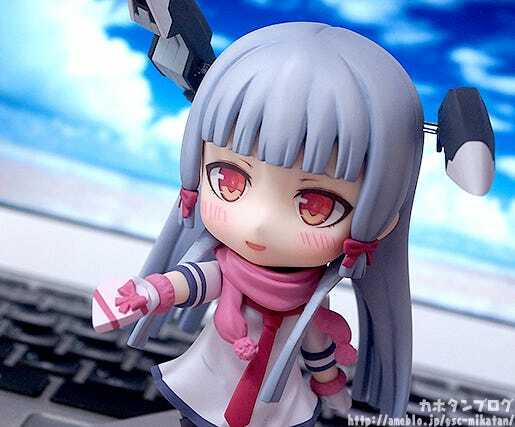 She comes with three face plates including a standard face, a half-damaged expression as well as a smiling face. 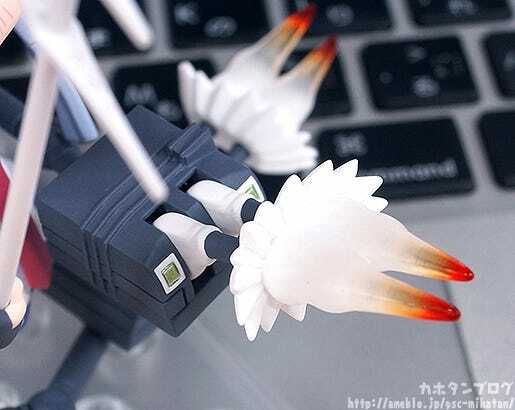 Her unique ship parts have been captured using translucent parts to bring out the feel of the material, and the arm has a wide range of articulation allowing it to be moved in all different directions. 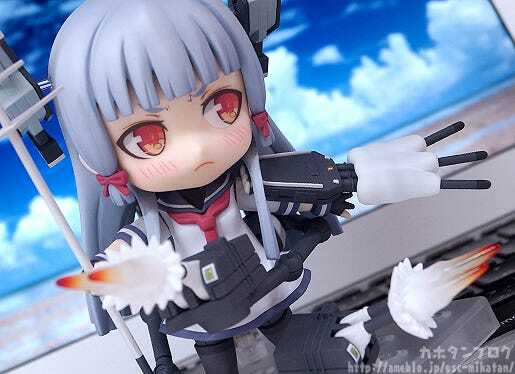 The standard turret firing effects as well as torpedo effects are both included allowing for various combat scenes as well! 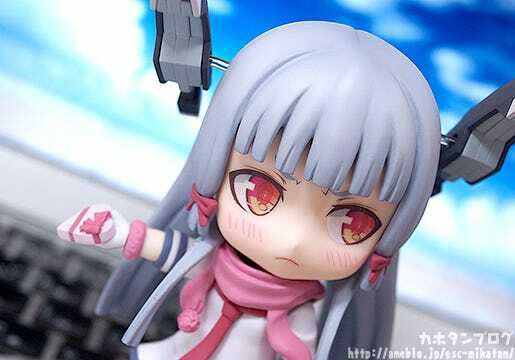 In addition, she also comes with a scarf, glove and chocolates to display her based on her Valentines day illustration! 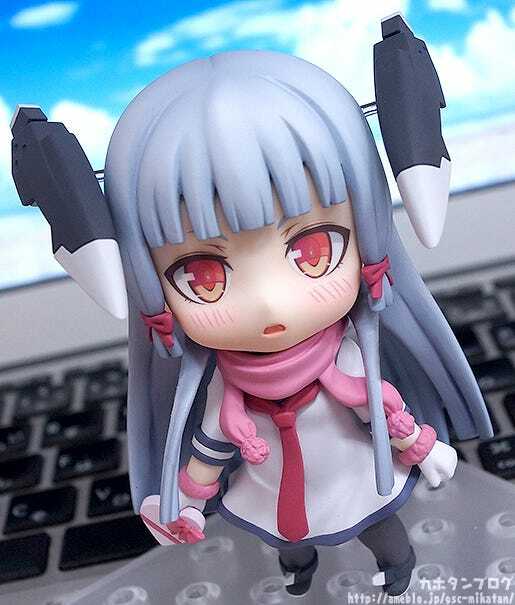 Enjoy various different sides of her character in your collection! 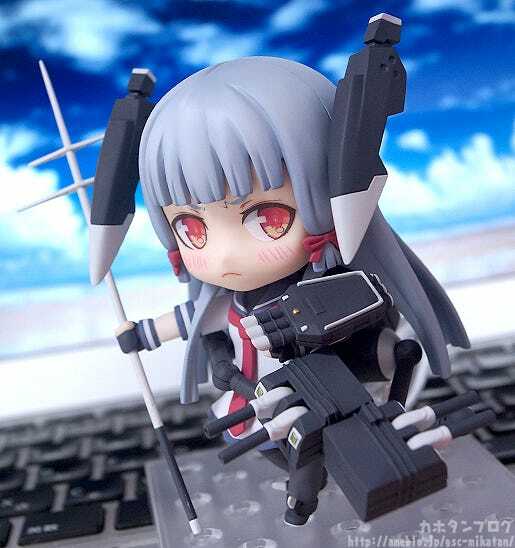 The fifth special class destroyer, Murakumo, is joining the Nendoroid series! 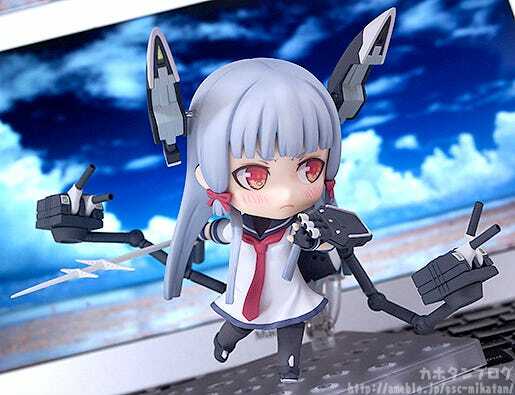 Her cute expression with an open mouth, the long red tie with a sailor uniform, rabbit ear-like ship parts and the long arms with turrets attached have all been faithfully converted into Nendoroid size! 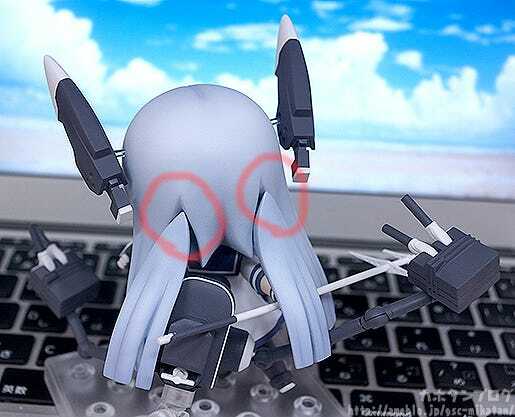 The back of her long hair is also fitted with an additional set of joints (areas circled in red) that make sure that her hair does not get in the way when posing the arms, while also allows for slightly more dynamic nuances! 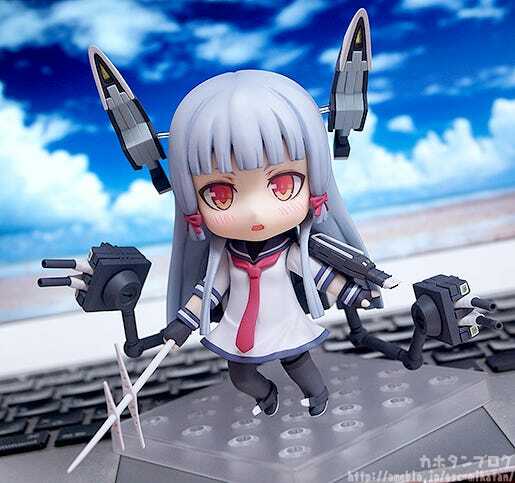 She also comes with turret firing and torpedo firing effect parts which bring out the heat of battle even more! 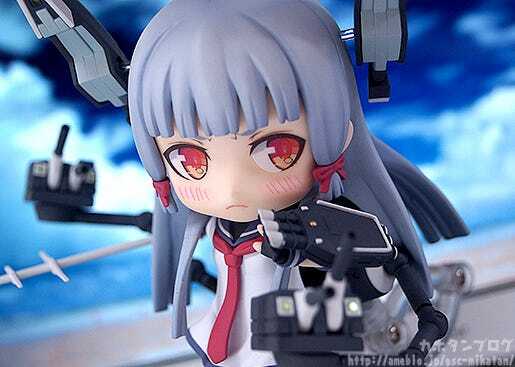 For her third face plate, we have a cute smiling expression! While they both have a slight blush, the contrast between the half-damaged expression and this cute smile is such a lovely sight!! The Valentine’s outfit can also be used with the half-damaged expression to create a perfectly tsundere scene! Be sure to add the cool and confident lone wolf to your collection! 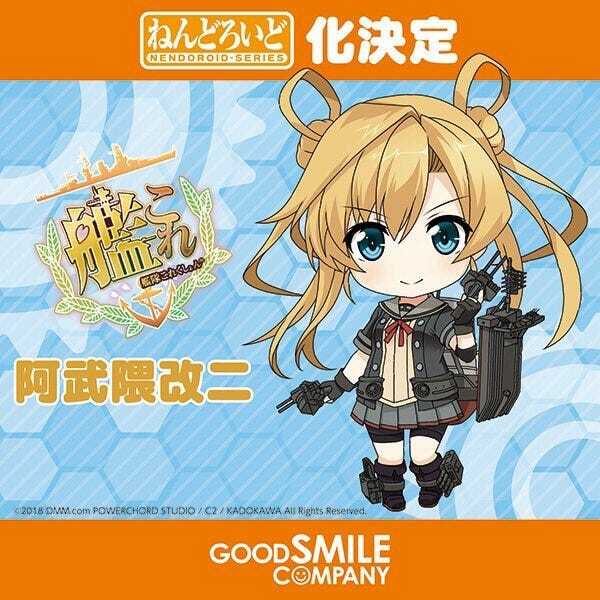 Preorders from the link above will include a ‘Nendoroid Murakumo’ Special Box Sleeve & Special Nendoroid Base & Clear Ocean Display Sheet!